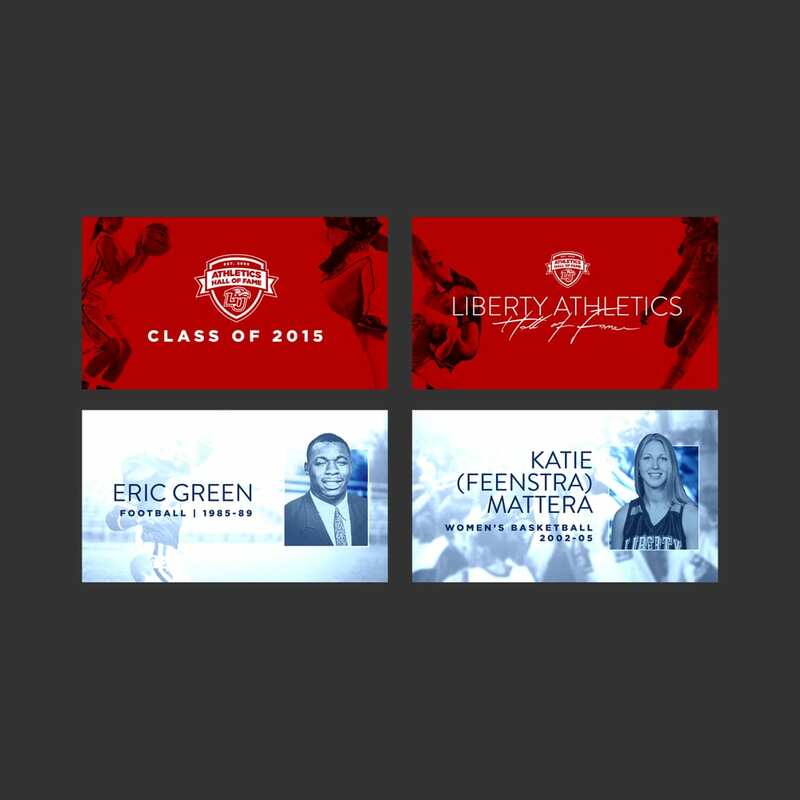 The LU Athletics Hall of Fame 2016 Banquet project maintained a cohesive look and feel to showcase the importance and honor of the awards the recipients and their families received. 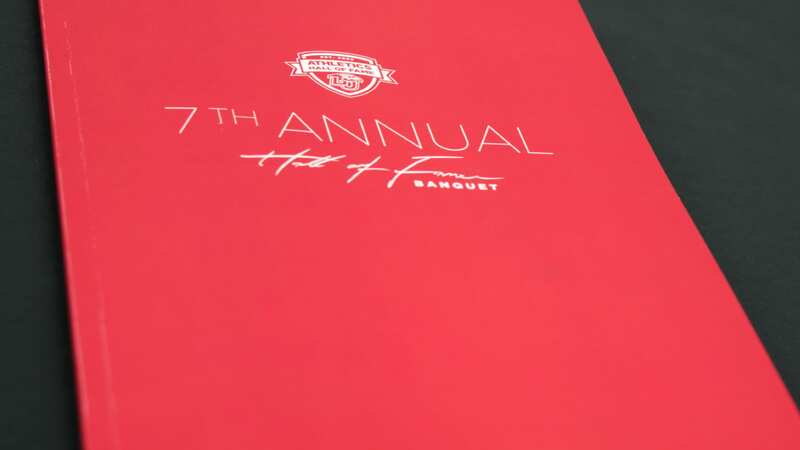 The project featured a perfect-bound program, email graphics and banquet hall screen visuals. 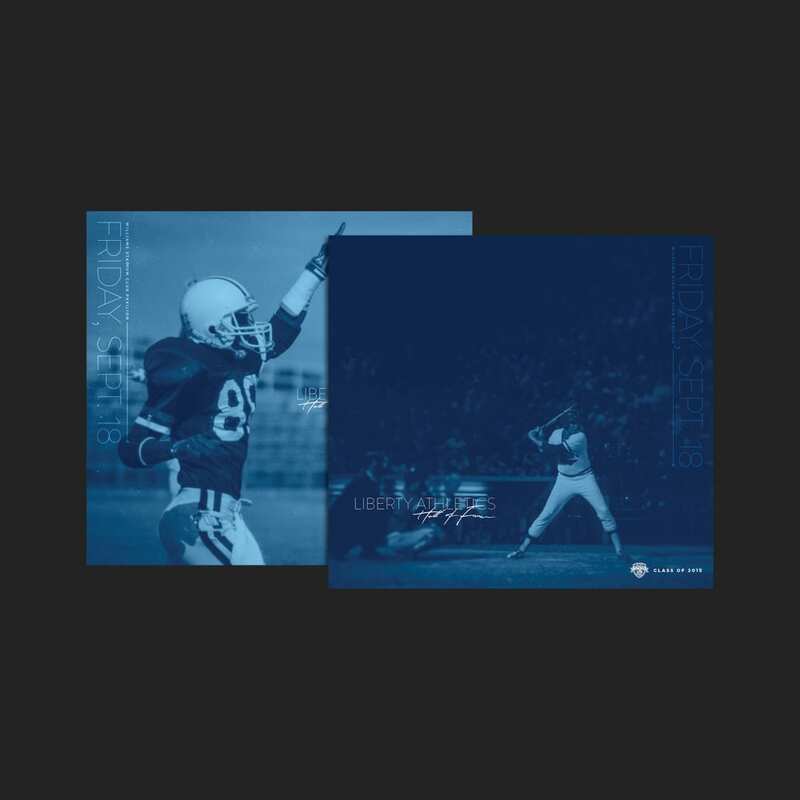 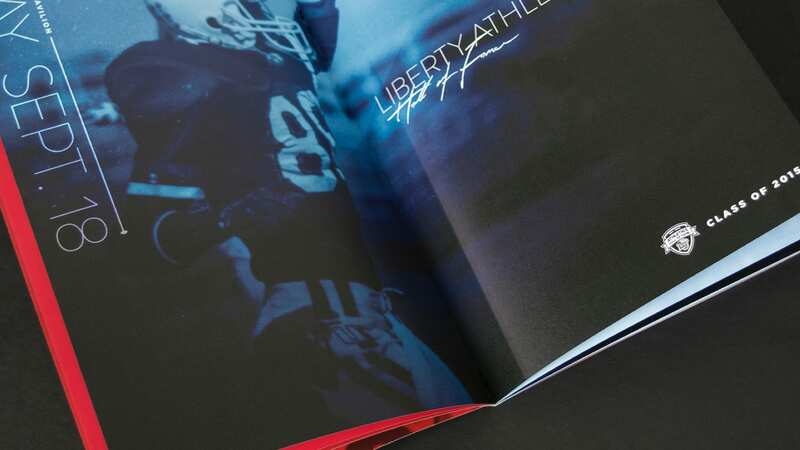 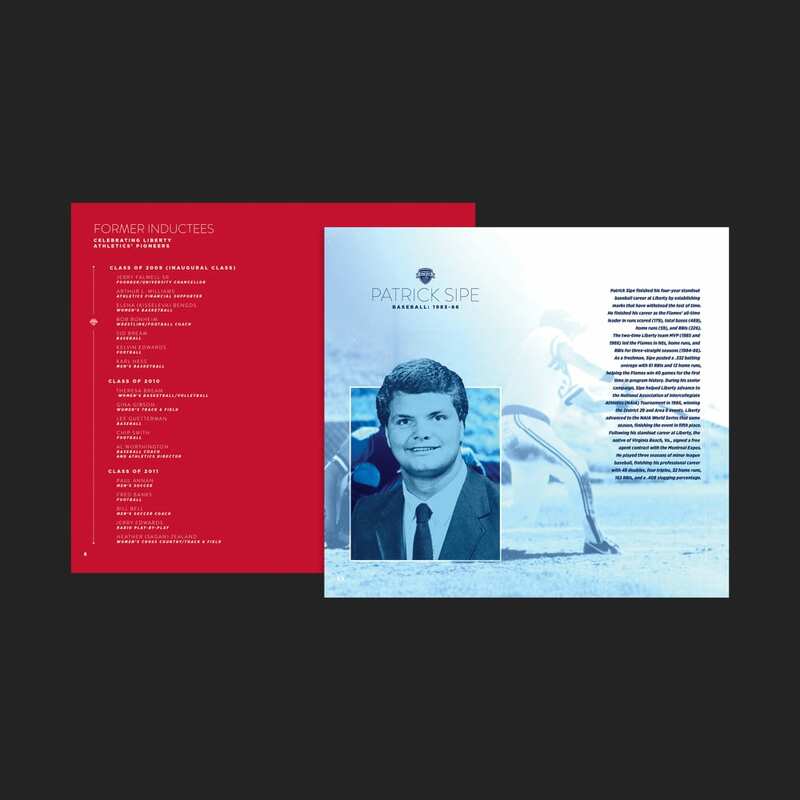 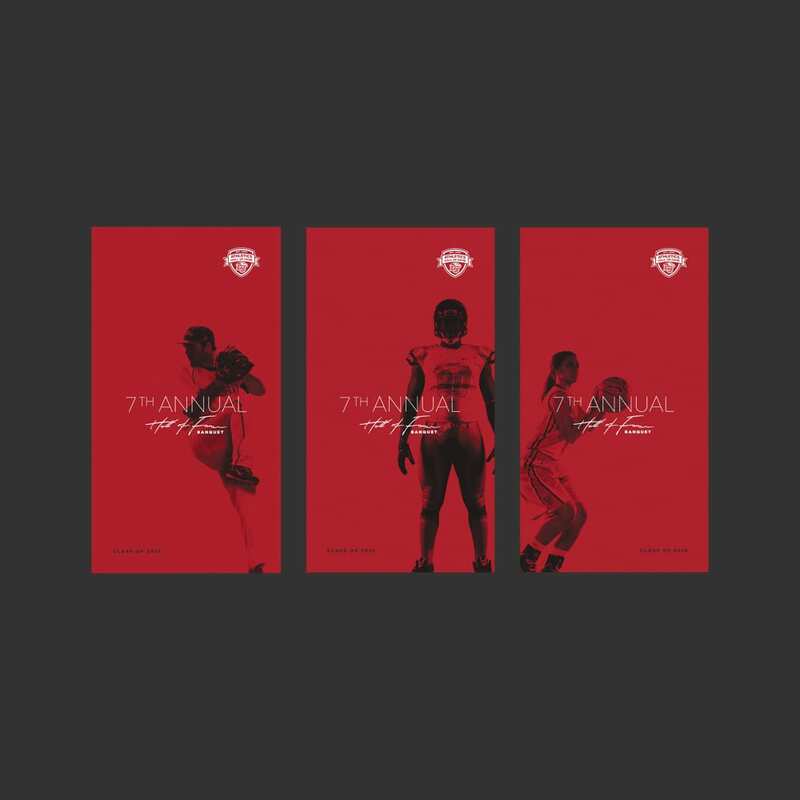 While the initial cover art concepts featured semi-detailed silhouettes of LU athletes, the final cover kept the custom and hand-drawn script Hall of Fame mark.